Extensive testing has been performed on sources from lenders, skip companies, and forwarders. 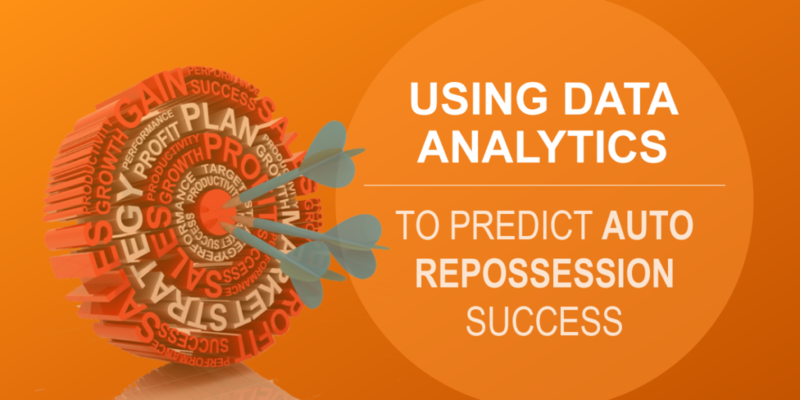 The predictive power of LocateScore ranges from 200 to 600 percent magnitude in recovery rates from low score to high scores. Exploration of this performance is detailed further. Low Scores: Low LocateScore results have substantially lower recovery rates than mid and high scores. Average recovery rates for this category are in the 5% to 8% range across several lines of business. These scores do not mean that they are not recoverable. Through skip efforts and “talking” the borrower into relinquishing the vehicle these accounts can be successfully closed. This group of scores consists of approximately seven percent to ten percent of all assignments. Evaluating the impact of these low scores on agency performance (estimated 5,000 operating field agents x 7% & 10% = between 700,000 to 1,000,000-man hours per year) spent on these assignments based on a single assignment to one agency. Additionally, fuel expenditures are estimate at $3 per man hour for a total of $2.1m to $3m. Repurposing manpower and assets on mid and high LocateScore results would produce between two to three times as many recoveries for the same manpower allocation. In other words, result in a five percent to ten percent increase in recovered vehicles. Middle Score: LocateScore result that lands in the middle of the range are expected to perform at rates equivalent to an unscored pool of data. These scores will operate as would a business that did not have prior knowledge of the LocateScore value. High Scores: High LocateScore results have between a 40% to 50% increase in recovery rates over unscored averages. A subsequent analysis of unsuccessful recoveries within this group is warranted to understand the value of multiple attempts on these locations. The LocateScore model helps predict recovery success prior to any manpower allocation, skip tracing efforts, or data gathering process. This knowledge can best be used for changing business, financial, and workflow methods around the Low LocateScore group. While LocateScore has immediate utility for all three participants (lender, forwarder, and agency), of equal importance is understanding that other companies may have the information and may be changing business practices. This has the potential of negatively or positively influencing an “uninformed” participant in ways that are hard to predict. As of this writing, there are over 80 agencies equipped with this information and a percentage of them that are making decisions based upon this knowledge. Furthermore, there are multiple forwarders and lenders in the process of testing and evaluating how to best leverage this information. LocateScore is already available to lenders, skip tracing companies, and repossession management forwarders using the MasterQueue system. By the end of 2019, it is estimated that several top lenders may alter pricing based upon this knowledge to ensure that their “Low Score” subset gets proper attention in forwarder, skip tracing, and agency handling.